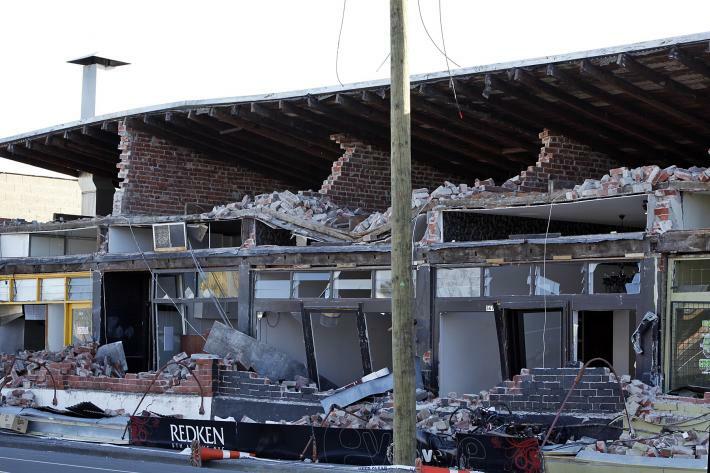 According to estimates provided by the Insurance Council of New Zealand, more than 10,000 properties damaged in the Christchurch earthquake could be without any insurance cover. In previous major disasters the level of those without insurance cover has been as high as a third, but according to chief executive Chris Ryan, the numbers of uninsured properties is expected to be lower in Christchurch but it could still be around 10,000 properties which, along with their contents, are without any insurance cover. To claim from the Earthquake Commission (EQC) on a residential property you must have house insurance with a private insurer. Likewise you must have contents insurance with a private insurer to have EQC contents cover. Cover for land damage which is excluded by private insurers house policies is also only applicable through the EQC for those with a valid House insurance cover in place. Therefore if you have no insurance cover on the house or contents then you have no cover at all from EQC. This will raise issues around what level of support, if any, should be provided for people who have opted to take the risk of going without insurance cover on their home or it's contents. Prime Minister John Key said the government faced a "moral dilemma" over what to do with the uninsured. He said there would be assistance for people suffering hardship, but there would be some that are going to find it a very "distressing experience". "For everybody else, we'll need to work our way through it." The situation in the commercial sector could be even more challenging. Ryan said the valuations on many properties that were used as the basis of insurance could well be old and no longer a reflection of their current value and the true loss. Some of those old valuations were based on a building code that has been changed over time, and the additional costs to comply to the new code will add to a potential gap between the insurance cover and the cost of repairs. Business interruption cover will play a vital role in providing a cash flow for companies impacted by the quake while they rebuild and re-establish themselves, for those businesses that have this type of cover. But it will still be very difficult for those businesses that were struggling before the earthquake, as the business interruption cover is only based on the trading history of the business. In addition to the uninsured, there will also be a high level of under insurance. Ryan says that the true extent of that problem will not be known for sometime. I honestly don't see how a helping hand can be extended to the uninsured. They took a conscious decision NOT to pay premiums and save money. Other people paid for insurance and now reap the 'reward'. Surely the government cannot morally justify taking taxpayers money, some of which would come from those who HAVE paid insurance in CChurch, in order to subsidise those feckless enough to gamble on being uninsured? What message would that send to those who DO take out insurance? This is not Mortgage insurance but the mortgage holder (bank) will insist that you hold insurance for the property. The insurance company will advise the bank if the insurance lapses - that has been my experience so I'm surprised that the level of non insurance is as high as claimed. The trouble is, if the govt doesn't do this, it's the employees that'll end up not getting paid (including possibly for work they already did before the earthquake) even though they didn't have anything to do with whether or not their employer took insurance or not in the first place. That'd hardly be right. "There will be many children who will suffer severely because their parents didn't take out home insurance. It wasn't the kids fault. Is that right?" - No, which is why I think those shouldn't be left out in the cold either. See my other post below. Pepper, correction... you mean the private sector tax-payer (1.6 million of us) is paying out $350/wk.. but your right, businesses without insurance should not be treated any different IMO. Yes there are idiots and morons but there are also those accidentally uninsured and the elderly who cannot remember what the hell went on yesterday....This situation exists while we have laws requiring those on bikes to wear approved helmets and those in vehicles to wear approved belts and blah blah blah...but when it comes to a law requiring property insurance in a country getting the shite shaken out of it on a regular basis or flooded regularly...not a friggin word in law. That is the stupidity of govt. That is what one bunch of daft buggers after the other has allowed to carry on and bloody on. Enough of this stupidity Mr Key.....make the bloody property insurance a legal requirement to be notified to the councils and for the insurance companies to be part of the notifying system. If some bugger fails to pay..they should have an automatic $1000 slapped on their rates. Fail to pay that and we know what happens. Councils know of all the properties. They have the data systems. They have the capacity to be the control. For those who due to criminal activity have been refused cover, they shall pay the $1000 and that loot will go to the EQ fund from the Council. It's not rocket science. Get the dam thing sorted.....and don't give us an insurance working group. So this is now Wolly/wally becoming Auntie Helen.Make another law eh Wolly.Nothing you say from now on will convince me that you`re not on the left of the Labour Party. We need compulsory Vehicle Insurance also. That will take the junk off our roads, reduce congestion, lower our carbon (although I don't give a hoot about that), reduce the number of boy racers and mean the next time some young prick side swipes me, I don't have to pay. Unlike yourself Wolly, the rest of us don't need our lives controlled by government. If someone wants to take a calculated risk of not insuring, so be it. Government doesn't need to mandate this, and equally is need ned (should not) bail out those who chose not to ensure. Arrogance Chris....you have the govt holding your hand every day every which way and then some...all your fluff about property investment and checking out the rentals etc etc....where would you be without the govt laws that prop up and back up your business. Wally, the last thing we need is more regulation from the state. If people don't take out insurance, or wear a seat belt, helmet, or whatever and something happens .. well that's just tough. Once burned twice shy.. But lets not advocate a continuance of the nanny state .. Yes true and the jiggery-pokery to further cover SCF in April this year was by who again. Governments - much the same - just a different coloured rosette. Strictly speaking the uninsured chose to run the risk and therefore why should they get paid up...but then, investors (by definition wealthy or at least well-off) have been bailed out, as have been leaky home owners. So why are the uninsured victims of a natural disaster, although stupid, less deserving? When a disaster occurs overseas, many people help voluntarily via donations even though I doubt those people were insured. So should we refuse to help fellow NZers who may have lost everything, not to mention the trauma suffered, and believe me the last few days have been traumatic for us down here, because they weren't insured? From the perspective of a community trying to help each other during a natural disaster it just doesn't feel right to me (for the record, we've always been insured, property and all, costing us over $200/month, and made sure all our insurances were up to date, appropriate and increased the amounts as we had our children to be sure we wouldn't become someone's liability). I don't think it'll create a moral hazard to give a "hand-out" in this case. But I couldn't agree more with Wolly that insurance needs to be made compulsory, without spending 10s of Ks on a working group, and could they please include third-party car insurance while they're at it. Time to buy some gold. Inflation is on it's way. Look, my husband and I pay a lot in insurance each month and if someone lost their place in a fire and had chosen not to insure I wouldn't want to bail them out. Same with failed finance companies. And I'd rather people got jobs instead of relying on hand outs. But you can't seriously be comparing a natural disaster with a poor investment choice or similar. What's happened here is on another scale altogether and could happen pretty much anywhere in NZ. I admit I don't have a thick skin and I hate seeing people suffer, even when they do through their own stupidity. I feel pretty darn lucky right now, just felt another jolt actually, and I'd rather help those in need if I can than toughen up. Each to their own. Personally I think that if you can't afford to insure it then you can't afford to buy it. But, and that's a big but, extraordinary events require extraordinary actions. I'd say the worst earthquake in 80 years qualifies as an extraordinary event. Far more so than the failure of yet another finance company (and bail out of its rich investors) or the leaky home issue (and bail out of their owners, many of whom bought such houses years after the leaky problem had been uncovered). From your comment, I take it that you are fully prepared to be self-sufficient in case of an emergency, and not just in terms of insurance cover (we were, although haven't had to use emergency supplies... so far). As well as fully prepared to deal with the stress, possible loss of job and income, and upset children who start crying at the first noise and won't sleep unless you lie by them and hold them during yet another aftershock. The last thing these people need right now is to wonder if they'll have a roof over their head next week when things calm down (please please please, make these shakes stop). Reading all these posts, I must say I'm starting to change my mind. If they truly reflect how little empathy Kiwis have for each other in a time of NEED then maybe I should feel the same and not want to help anyone either. Fat chance of that happening though, can't change who you are hey. I wish it was like that again! But I know that a good chunk of people do care. Crap night again. Woken up at around 0:45 with a jolt, at 2am the just-turned-6yo ran into her 4yo sister's bedroom where I was sleeping when another big aftershock struck and at 4am the 3yo woke up screaming with another one. Only the baby keeps sleeping through the whole thing (thank goodness for that). We didn't feel the one that's just happened quite as much here, apparently 6.1, must be bad in Chch. One day they'll probably see it as a big adventure. Hang in there, Elley. if it was the 6.1 that's good not bad as it's the one they have been waiting on apparently . Now the aftershocks can gradually subside. I did but seems like it was in fact 5.1, not 6.1 as initially reported. I heard about the around 6 that we're supposed to get and was hoping it was now out of the way, bummer! We apparently had 20 aftershocks overnight. No wonder I feel like the ground starts shaking every time I try to lie in bed. Maybe I'm not going loony after all lol. Doh...for the same reason blockheads are made by law to protect their tiny brains with helmets...it's the taxpayer has to try to sort the mess out when they splatter their heads on the concrete. You might think you are a real wizz at saving the $500 the insurance would have cost..but I bet you would be first in line for a free govt handout after losing the house...wouldn't you! Does that answer the "why should you" question for you....DC.? I wish reporters would substitute the word "government" with the word "Mum and dad taxpayer" when talking about government handouts, bailouts and spending. It almost sounds like it is not our money (your taxes) they are talking about. Mark...you know where to go...Slow Friday and Robbie are waiting....and no talking. Why interest free? If they are given a loan it should be at least at the cost of the government's borrowing. An interest free loan is still a hand-out. Please do leave, the sooner the better. Just reading this made me burst in tears, and our place isn't even damaged. I must be exhausted and stressed out. Elley that is most likely to be the case.....and the tears are a good thing...think of them as valves .....and keep talking it out...can anyone come help you with the children..? You need to remember that your stress exhaustion and tears are for very rational reasons and so don't bottle it up ...carry it but do complain about the load.....ask for help if you think your not coping...as a new strength is often found in being humbled. good luck again...wish you and yours well. Thanks :) Feeling slightly better after a big cry last night. Family's not an option and we do have several good friends but they are either in Chch or too far away. Those in Chch are just as freaked out and exhausted as we are (all with young kids too) but we're in touch by txt and phone everyday which is good. At least my husband (and I) work from home mostly and he's the kind of person who stays calm in most circumstances so it's comforting to have him here. It's tough now but we'll get through it. GET A GRIP! Welcome to NZ, a country riddled with faults & volcanoes. You can go back to France if you like? where the only thing that shakes the ground are nuclear tests! If you do leave, Justice, that will be one of the good things to emerge from this disaster. Especially if you never return. Yeah, run away from home, and then they'll all be sorry. Then you could try holding your breath until you turn blue. Just how much does adequate insurance cover - fire, earthquake, theft - cost for an average house? The price of a big flatscreen TV over its lifetime of 5 years maybe? How are you going to cope when real accounting (not GDP - note the Nat Radio comments this morning) takes in natural capital? That would include the red ink (Canty) and the reduction of resources. The gaussian approach applies there - you start from no flow, you end with no flow, and you peak in the middle somewhere. Note that doubling the 'known reserves' hardly changes the time-line. From peak on, community, friends and pitching-in will be the order of the day, and I sense some of you will find yourselves somewhat undercapitalised in that regard. Actually PDK, in a post peak world I would imagine the feckless (such as those who avoid paying insurance) would have a very short half life indeed. After all, in effect they are attempting to free load off the rest of 'society'. In a resource constrained situation the barriers to being a member of 'society' will be very high - there wont be much room for baggage such as those who wont take the minimum precautions others which others regard as obligatory. AndyH - Makes for an interesting think about 'valuations' and 'assets'. If you didn't have insurance wouldn't you be mortgage free? I can't imagine banks lending to people with no house insurance. Or is there yet again some crazy finance companies that lend without insurance? oh ok, crazy, I couldn't sleep at night without decent house insurance. It gets a bit murkier with the businesses not having business interuption cover, I suppose it wouldn't be an insurance requirement, and you might not expect to need it. Anyone who is stupid enough NOT to have a warm jacket ready for a cold snap in the South Island you'd call an idiot right?! If anyone is so damn selfish to not consider the welfare of their loved ones by not taking out insurance... today they're exposed for what they really are. Selfish Buggers! "THAT'S NOT FAIR... WHEN I GROW UP I WILL NEVER EVER TREAT MY KIDS LIKE THIS"
If we give anyone any money... I'd channel it to the needs of the kids not their dumb parents. There are logical reasons for wanting to see the uninsured safely housed and stability for the benefit of their children.....at the same time the insured will have feelings of being taken advantage of by the uninsured. If this was a case of your uninsured neighbours house burning down and setting light to yours in the process... the feeling would be justifiable. This is a case of wholesale destruction.. with the ground beneath the buildings being the responsible culprit not fault by the occupier and so time should be taken to weigh and balance outcomes that will ultimately benefit the community as a ........whole. I do still take exception to Key who keeps baby kissing and pandering....true to his opportunistic form...but then I ...am a cynic. Would not argue with that Steps....it's all in the timing of the debate I have a problem with...right now in this emotionally charged atmosphere thought for the safety and well being of citizens and their ....children should be the order of the day. I think perhaps Bernard himself has been a little opportunistic on this matter. As I said let's have this conversation on another day in a more settled environment. Bernard.........check your knee you may have a tic. You are correct there Steps....but a place and time for consecutive bad news is really what I'm on about. Let them deal with the here and now....the's plenty of time to remind people of their unfulfilled obligations. as I pointed out in other posts.....not arguing policy just timing. Why do you have to take the un-insured to court? I thought your insurance company would? Not really Christov - the NZHerald is running an editorial on the very same subject. It deserves (and is getting) attention. Fortunately, judging by the voting patterns on Bernard's poll, it looks as though the majority are against a taxpayer bail-out of the uninsured. As to the N.Z. Herald I would expect no less as they are in the business of opportunism. The vitriol with which some bloggers have responded ..... can and will be viewed as callous and untimely. For what it's worth ...All my insurances are paid up....as you never need it till you need it. I would add Andy this is off the back of being gut kicked by the SFC debacle. "What we have ended up with is very untidy: the Government has paid out "in the know" bond investors and foreign preferential shareholders who did not qualify for the guarantee. Forget about moral hazard - the smart money now knows that the Key Government can be "gamed". It appears we the taxpayer have been gamed. How and why did that happen? How will realisation of it impact government's decision on this issue? As to his actions ...one could sometimes be forgiven for thinking the Lad a paradox. Make no mistake...that's one well shoaled shark and opportunity is abound. I understand what you say and I am not suggesting the uninsured should be fully bailed out, castle rebuilt at no cost and playstation and plasma TV replaced. You're right that it wouldn't be fair on us who do pay and have always paid insurance. But we also can't just leave them out in the cold despite their bad decision. They must be provided a roof over their head and basic stuff at least so they can keep going and put their life back together, especially if they've lost their income too. People here are sleep-deprived and on edge and the last thing they need to worry about is whether they'll be sleeping on the streets next week. There's also the issue of last week's full bailout of SCF, where even investors that did not qualify for the guarantee will get all their money back. How can the govt exercise two different sets of values depending on, I'm not even sure what, maybe their own interest? Making a house available to those who've lost theirs is probably the best thing you can do for them at present so thanks for this. Says who? People who bought SCF bonds on the secondary market were bailed out. I dear say that the uninsured are lining up outside insurance brokers all over the country. I have insurance, costs me $6000 a year, love not to pay it,agree with the moral hazard bit, can see the other side too, Think it needs some time to settle,even with insurance you always lose just not as much. Im inclined towards the let the cards lie where they fall approach. Then we all know where we stand next time. Here I am paying fully comp on my stuff, and now its expected I pay for other loses because they didnt? how the hell is that fair? Well I think that about does it for this thread Bernard....what's next! We need to help people out - even if it is educating them on what is necessary. We need to lend a hand, not give a hand. We need to lift people out of despair, but at the same time not gift them the penthouse suite at the Ritz to keep forever. Contents insurance is even more important for renters. If a renter accidentally burns down their landlords house the landlords insurance company will come after the renter unless they have contents insurance. That is one of the poorest strawman arguements I have heard in a long time. Couldn't this just be the wakeup call that the country needs? We've all read the newspaper articles about a family's house being destroyed by fire ("We've lost everything and we didn't have insurance...") and we all know of people who have been hit by an uninsured driver and are stuck with bill. Isn't it time that banks perceive the necessity of close interaction with insurance companies to ensure that they're automatically notified when a mortgage-related insurance policy is cancelled? Or that insurance is automatically priced into a mortgage? Isn't it time to make liabilty insurance compulsory for vehicles and to link it to the registration/WoF process? Isn't THIS the time to send a clear message that Nanny State isn't there to socialise the consequences of personal decisions? If the government were to "bail out" all those who are uninsured, up to full value, to re-instate their properties, it would send the obvious message to those who ARE insured .. NEXT time dont renew your insurance policy .. because you now know the government will bail you out. A quick reminder to all not to make any abusive, defamatory or racist comments on the site. I have removed a few from this thread. A reminder to all that we are moving to registered comments from this Sunday. We welcome any registered commenters. We don't welcome commenters making abusive, defamatory or racist comments. They'll be deleted. We want to have good clean fun that makes us smile and think rather than swear, huff and puff, and feel slightly unclean. We also need to be sensitive towards our many readers and commenters in Christchurch. They're doing it very tough right now. Our thoughts go out to you all, including Chris_J, Elley, Ruru the real, John Walley, Mark Hubbard and many others (even The Man) I might have missed. We welcome any suggestions for other changes too to improve the quality (and quantity) of the debate here. "The Government came under pressure last night from farmers unhappy that earthquake damage to their farms is not covered by insurance." I wonder how this will pan out? Why? who are the farmers going to vote for? Labour? Of course....if we can bail out fat cat banksters bonuses why not the odd TV or SUV? In NZ you know it always appears to be the middle class of worker that provides a lot of the tax that really does lately seem to be being spent fairly lightheartedly. I mean the type of person who never has had a benefit has no property trust set up for tax shelter either. I mean the type of person who day in day out just goes off to work each day and probably always will do. I mean the type of person who earns for example $65,000. and pays $14,000 in tax. It must be disheartening for them surely! If the Government is turning to morality for assistance in making these upcoming controversial decisions it should be on fairly safe ground because what I have learnt about morality there is no absolute right or wrong. I don't wish to appear cruel either but I must either be a bit strange or have been on the wrong track completely all of this time but I thought that if I didn't pay my insurance premium then my item whatever it was wasn't protected and I never expected that anyone would be nice enough to bail me out. No what ever happens I think the people will show when the time comes to vote again whether they have approved or disapproved. This appears afterall to be all we can do.